Over 100 guests attended the Herald Sun Derby Day marquee at Flemington on Saturday. The marquee theme was the Herald Sun Sports Bar. There was a DJ playing classic rock hits, a Herald Sun photo booth activation at the front of the marquee, curated photo gallery of classic and current racing photos and the best Herald Sun racing covers. Catering was handled by Peter Rowland Catering. Herald Sun and the Herald & Weekly Times has a longstanding relationship with the VRC (more than 10 years), with its marquee on the prestigious front row of the Birdcage on Corrigan Road. Usain Bolt, who dropped in for a short visit in the early afternoon! 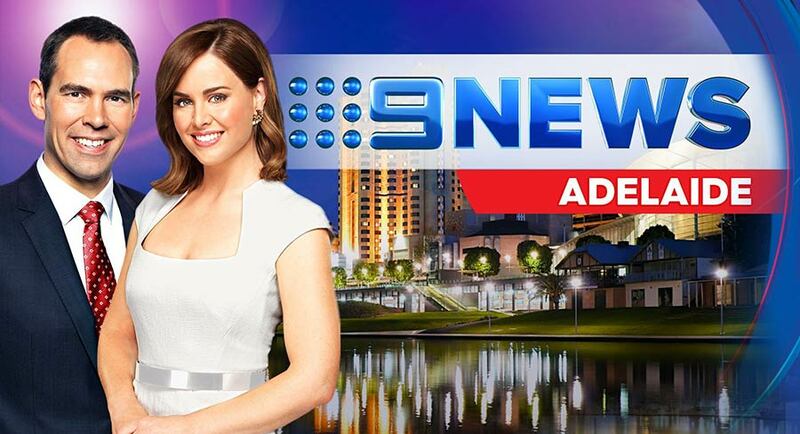 In an Australian-first content-sharing arrangement, Nine News Adelaide and Fiveaa have announced a joint venture that will see Kate Collins, Brenton Ragless and the Nine News team bringing news, sport and weather to Fiveaa Monday to Friday at 12 noon from Monday November 12. The half-hour bulletin, produced by Nine News, is a market first and an opportunity to engage a broader audience with the breaking local stories that really matter to South Australians. Jeremy Pudney, Nine News director, said, “This bulletin will be produced and delivered by the team here at Nine News Adelaide, and presented live by Brenton Ragless, Kate Collins, Will McDonald and other familiar voices. Fiveaa station manager Craig Munn said Nine News would add to its well-regarded and respected lineup of announcers. “We are excited to enhance our station with a dedicated news program that is both local and immediate. This program will complement what we know to be a respected afternoon talent lineup on Fiveaa covering everything that is live and local,” he said. The market-first partnership will harness the strength, assets, quality and reach of two of Adelaide’s most recognisable industry brands. 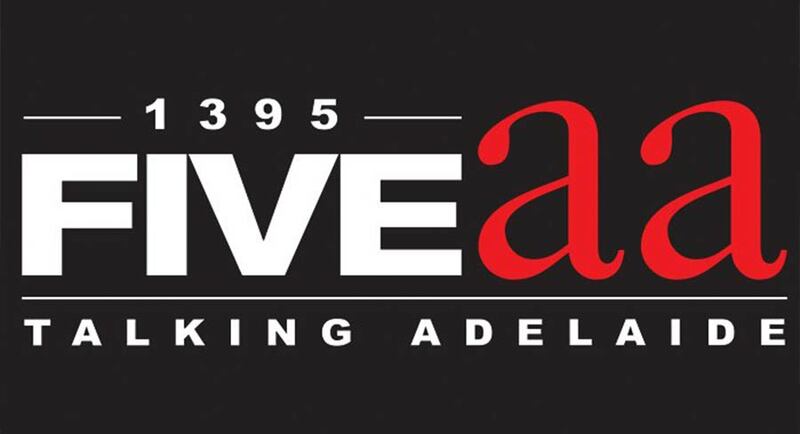 O’Brien is a former general manager of Nova Entertainment Adelaide stations Fiveaa and Nova 919. Amidst the hype of the FTA TV 2019 Upfronts/Allfronts, Australia’s biggest radio broadcaster held its own talent showcase on its World Famous Rooftop in Sydney. The event wasn’t strictly a formal reveal of the 2019 programming – more a showcase of the 2018 highlights and it gave media buyers and clients an opportunity to mingle with the stars, some of whom worked the room/rooftop. It was a largely youngish crowd, peppered with a few veterans and, if having a good time equals bookings, SCA should be flooded with briefs into the new year. Missing from the event was SCA chief executive Grant Blackley, who was on the road working in the west of NSW. Overseeing the event in his absence were chief creative officer Guy Dobson, chief sales officer Brian Gallagher and chief operating officer John Kelly. The sun was actually setting right behind the SCA Sunset Sessions stage, which couldn’t have been more apt, but it did make it hard to see what was happening! 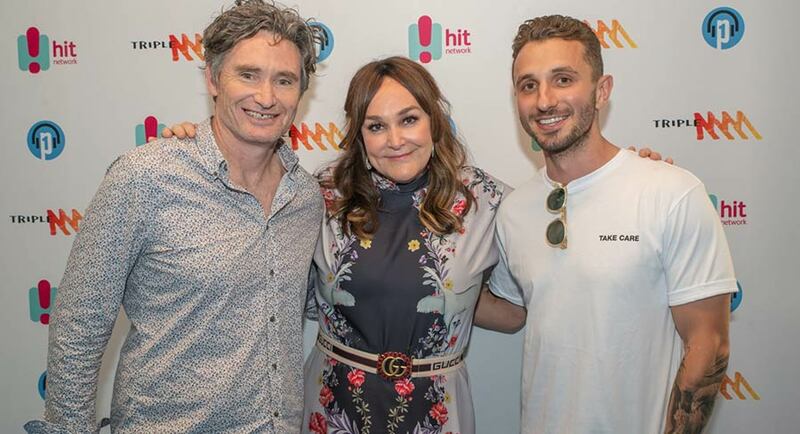 Most of the station’s stars were on hand, although the two biggest questions went unanswered: who will host 2Day FM breakfast in 2019 and who will replace Matty Johns on The Grill Team? The current 2Day breakfast team, Grant Denyer, Ed Kavalee and Ash London, were at the event as were the remaining members of The Grill Team: Chris Page, Gus Worland and Emma Freedman. Regarding 2Day breakfast, Mediaweek wondered if the stars of the Sunset Sessions – Brisbane-based hosts of the national early breakfast show (5am start) Those Two Girls, Lise Carlaw and Sarah Wills – might get the job. 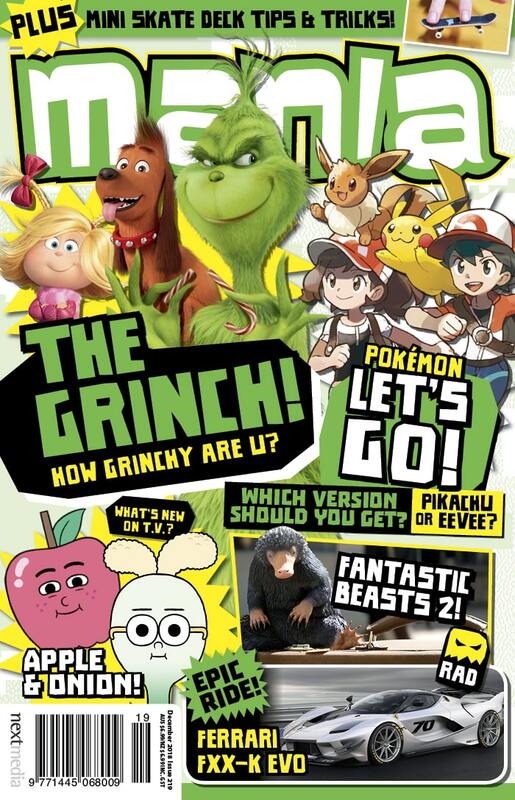 However, Hit Network head of content Gemma Fordham said they won’t be moving. The girls do seem destined for bigger things though and they seem about right for the demo 2Day now seems to be pitching at. As to the Grill Team replacement, it would have to be a footballer, right? Not necessarily, Triple M head of content Mike Fitzpatrick told Mediaweek. He will be throwing his net far and wide and considering all sorts of candidates. The event’s other star performers – The Chaser – despite being almost impossible to hear above the partying media buyers, said doing breakfast was far too early a start to the day. They seemed happy about the suggestion of rebranding their program Afternoon Breakfast and accepting breakfast radio salary packages. The Hit Network’s newest stars Hughesy and Kate were hosting drive downstairs when the event started and they made their way to the rooftop for a few gags with the crowd before they headed to the airport and back to Melbourne with their award-winning producer Sacha French. PodcastOne boss Grant Tothill assembled a panel of some of his star podcasters including Andy Lee, Mark Howard, Mark Bouris, Adam Shand and Sami Lukis. Other Hit Network and Triple M stars included early drive co-host Tommy Little, The Grill Team survivors with Fitzy quizzing them about Matty Johns and Triple M evening hosts Tom and Olly. The Hector Crawford Memorial Lecture is a significant public statement of the screen and broadcasting industries given by a leading media and entertainment figures each year at Screen Forever, the annual conference held by Screen Producers Australia. Leah Purcell is this year’s special guest lecturer. 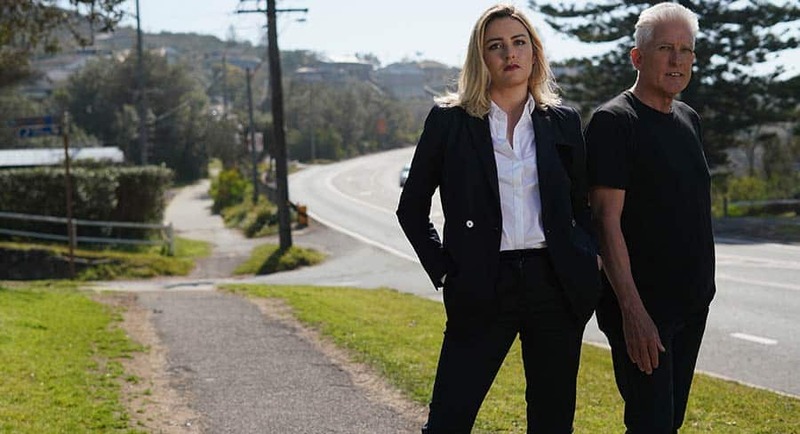 Actor, writer, director and producer Purcell has recently been nominated for the 2018 AACTA Award for Best Lead Actress In A Television Drama, thanks to her performance in Wentworth. In 2017 alone she had wins at the AWGIE Awards, Helpmann Awards, UNESCO City of Film Awards and Victorian Premier Literary Awards, all based on her retelling of The Drover’s Wife. But for a Goa-Gunggari-Wakka Wakka Murri woman from the Queensland bush, success and stardom have not come without their fair share of struggle. 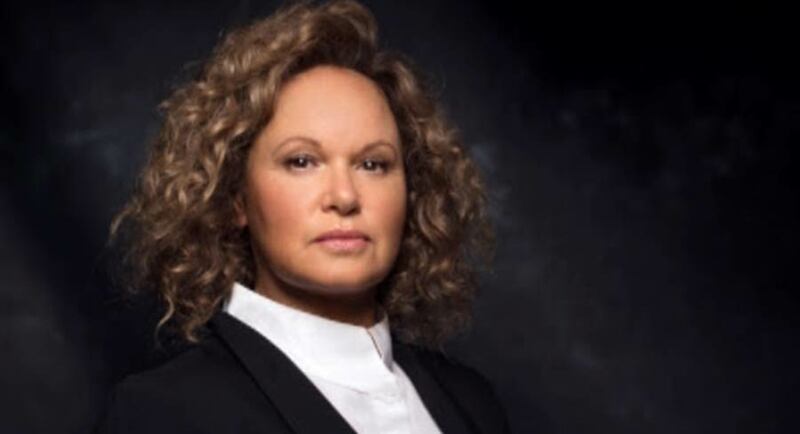 As a young indigenous girl who dared to dream of a career in film, stage and television, Purcell’s first professional break came in 1993 when she was cast in Bran Nue Dae, touring Australia to rave reviews. Moving to Sydney following the death of her mother, Purcell’s seminal play Box the Pony was the smash hit of the 1997 Festival of the Dreaming and has since played to sold-out seasons at Belvoir St Theatre, the Sydney Opera House, the 1999 Edinburgh Festival and a season at the Barbican Theatre in London in 2000. While roles in Police Rescue, Jindabyne and The Marriage of Figaro followed, Purcell was not content with the pervading view at the time that her “blackness” be viewed ahead of her considerable array of talents. As such, out of necessity more so that ingenuity, Purcell established her first independent indigenous production company, Bungabura Productions, in 1996 and began developing her own slate of projects with an authentic indigenous voice. Black Chicks Talking, Coloured Inn and Moxie Girls were all created, written, creatively produced, directed, acted and musically inspired by Purcell. Long before the term “showrunner” was part of the entertainment vernacular, Purcell was taking control and steering the creation of her own intellectual property. In setting out to carve a new pathway where none existed before, Purcell has opened the flood gates for a new generation of indigenous talent. Purcell will deliver the 2018 Hector Crawford Memorial Lecture at 12 noon on Thursday November 22 at the Crown Conference Centre, Melbourne. News Corp Australia’s leading food brand taste.com.au has launched the Great Aussie Eating Survey across taste.com.au and the News Corp Australia Sunday mastheads. Running for four weeks the Great Aussie Eating Survey has been designed to discover the nutritional health status of Australia. The study, now in its third year, will provide a look at the gap between respondents’ perception of the health of their diet against reality, based on the key nutritional food groups. Every respondent will receive a free personalised health report and diet score, along with a recommended meal plan. Taste.com.au editor-in-chief Brodee Myers-Cooke said: “Taste.com.au has influence on millions of meals every year and we want to use this position to improve the diet of the nation. To do this we are making healthy eating accessible and easy for everyone. “Each year, we’ve seen Australians are not as healthy as they think they are. The survey has found that fewer than one in 10 people eat the recommended serves of both fruit and vegies each day, and more than 80% of Aussies regularly eat highly processed takeaway foods, such as meat pies, hot chips and muffins. The state-by-state survey insights will be used to fuel the expansion of taste.com.au’s multiplatform initiative Eat Real from January 2019. Eat Real, launched in early 2018, aims to break down the perceived barriers, myths and misinformation to healthy eating. It is about making healthy eating easy for everyone and creating a positive healthy food movement that changes and improves the way Aussies eat. 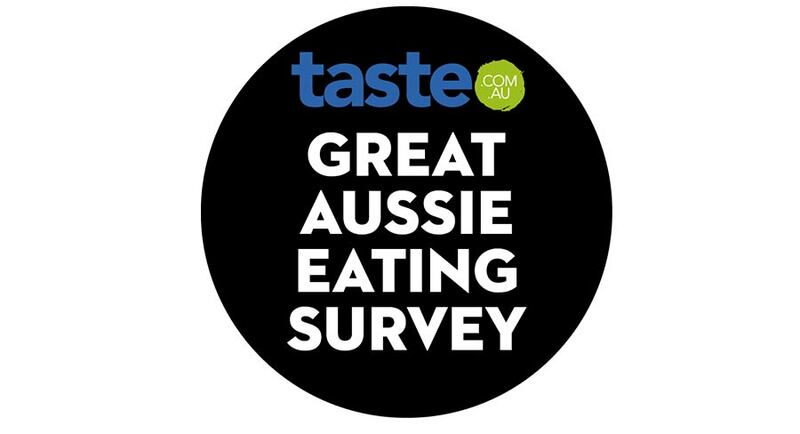 The Great Aussie Eating Survey is now live and will run until Sunday December 2. 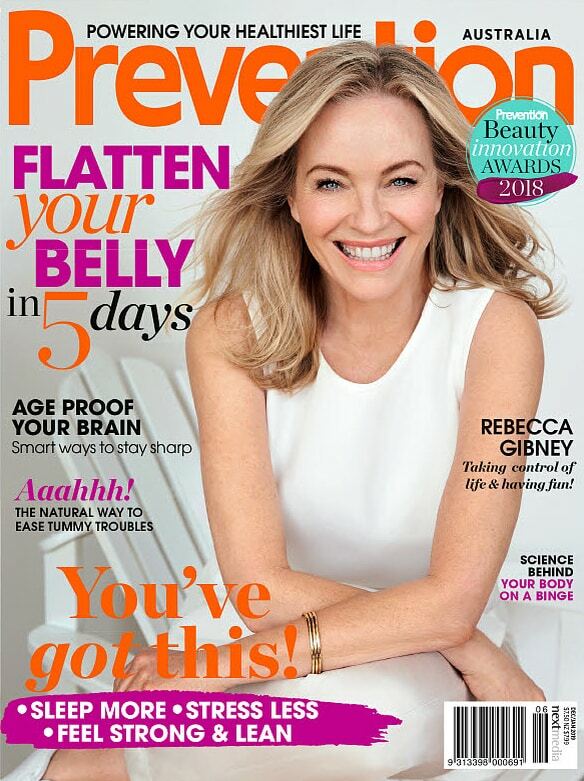 Bauer Media’s Woman’s Day brand this week celebrates 70 years of the magazine that has helped define Australia’s popular culture. Woman’s Day has been reporting on iconic women and men from all walks of life in Australia and internationally since 1958. 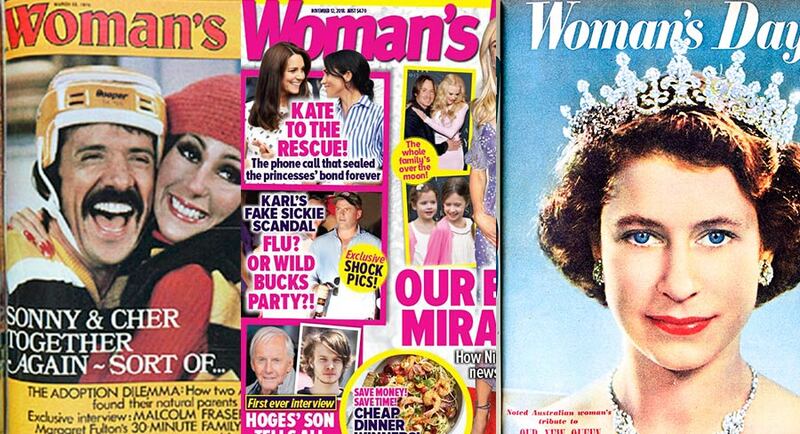 The Queen of England, Elizabeth Taylor, Elle Macpherson, Cher and The Beatles have all graced the cover of Woman’s Day over the past 70 years. The iconic magazine is marking the milestone with a special collectors’ edition and wrap, featuring some of the publication’s most noteworthy covers. Since its inception, Woman’s Day has highlighted the stories of everyday Australians – from tales of triumph to heartbreaking real-life accounts, Woman’s Day has been there throughout. In the 70th birthday issue, Woman’s Day takes a trip down memory lane, showcasing some of the most memorable covers and features from the 1950s to the modern day. Included in the collectors’ edition is the story of the inspirational Sophie Delezio, whose brave journey has been covered every step of the way. In addition, the magazine features Queensland’s first mounted policewoman Heather Crack, and the pioneering Dr Louise Holliday, who, in 1981, was the first woman to spend a winter in the Antarctic. To celebrate, Woman’s Day is giving readers the chance to win cash prizes from a total prize pool of $10,000 with each magazine purchase. Readers will also go into a draw to win a five-night stay at the Manuia Beach Resort, Rarotonga on the Cook Islands. Twitter will be riding in to help users out and about during The Race That Stops A Nation, live streaming the 2018 #MelbourneCup on Tuesday November 6 globally for the third year in a row. Twitter has partnered with Seven to give horseracing fans access to live and exclusive content in more ways than ever before. Fans will be able to access the live streams on Twitter at @FlemingtonVRC and @7HorseRacing, or via the free 7plus and 7Sport apps. Australian Twitter users will also be able to live stream the marquee races of Kennedy Oaks Day (Thursday) and Emirates Stakes Day (Saturday). 2018 sees the return of the Twitter Trophy to Flemington. The Twitter Trophy is race two of Kennedy Oaks Day and starts at 12:55pm AEDT. Extended social coverage on @7horseracing will complement the broadcast, capturing the best of the racing action and all of the colour and features from around Flemington. The Australian box office has received a nice boost from the Queen biopic Bohemian Rhapsody, which has helped produce a 20% increase over last weekend as theatres raked in $14.71m. The other new entry to the top five this week was the action thriller Hunter Killer starring Gerard Butler and Gary Oldman. The films to depart the top five this week were Venom ($21.08m total), which is now sixth, and First Man ($5.54m), which slipped to seventh. 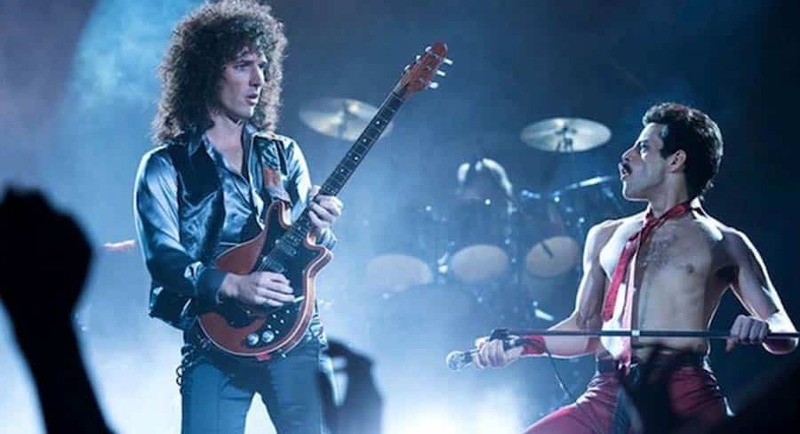 The filmed based on rock band Queen and in particular front man Freddie Mercury has resonated with Australian audiences bringing home an average of $13,255 across 510 screens. Dropping from top spot after two strong weekends at #1, the musical romantic drama has produced an overall box office return of $19.70m. The Lady Gaga and Bradley Cooper vehicle still produced an average of $9,913 per screen, which is more than double any film not named Bohemian Rhapsody. The slasher flick has survived a 53% decline in revenue to stay in the top five but it dropped down a spot to third. Despite Halloween season being in the rear view mirror the movie still cracked the million-dollar mark and made an average of $3,914 per screen. Keeping its spot in the top five after two weeks, the RL Stein-inspired film had an average of $2,693 across 259 screens. The film based on 2012 novel Firing Point by Don Keith and George Wallace has cracked the top five in its first week in theatres after averaging $2,610 per screen. Sabrina The Teenage Witch was originally a comic book published by Archie Comics in the 1960s about a half-witch who lived with her aunts Hilda and Zelda. TV spinoffs included several animated series and in the 1990s the TV series Sabrina The Teenage Witch that starred Melissa Joan Hart as Sabrina. Fast forward 20 years and the series Riverdale, based on Archie Comics characters, had planned to introduce Sabrina as a character. 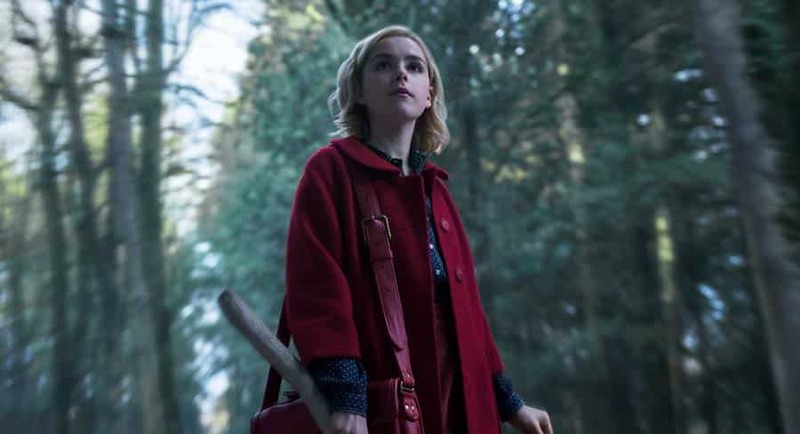 However, a series by the Riverdale creators was developed based on a more recent comic The Chilling Adventures of Sabrina with the project headed for Netflix. 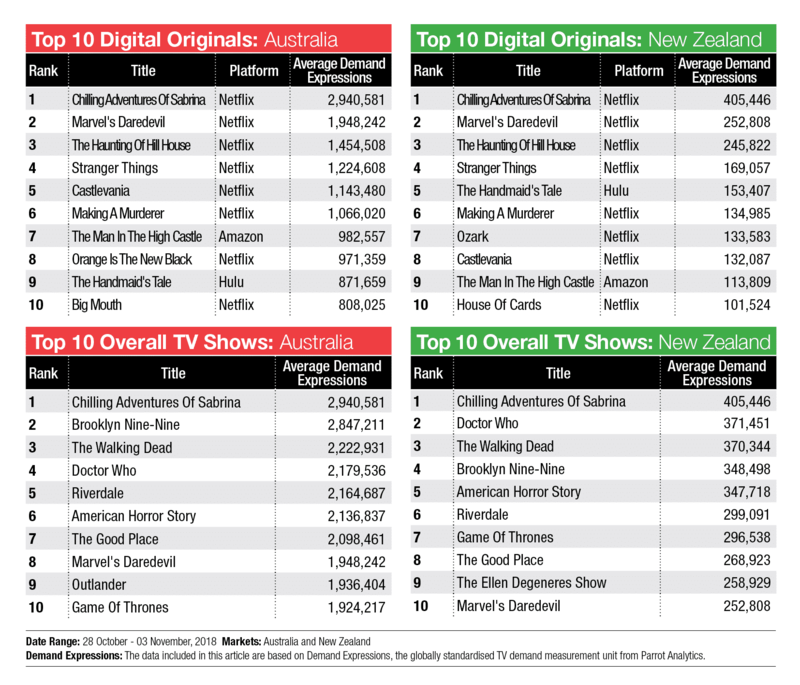 That series launched this year with much success and this week it tops not only the Digital Originals charts in Australia and New Zealand, but the Overall TV Show charts in both territories too. One surprise omission from the charts so far is the brilliant UK political thriller Bodyguard, which has been streaming in Australia and New Zealand in recent weeks on Netflix. 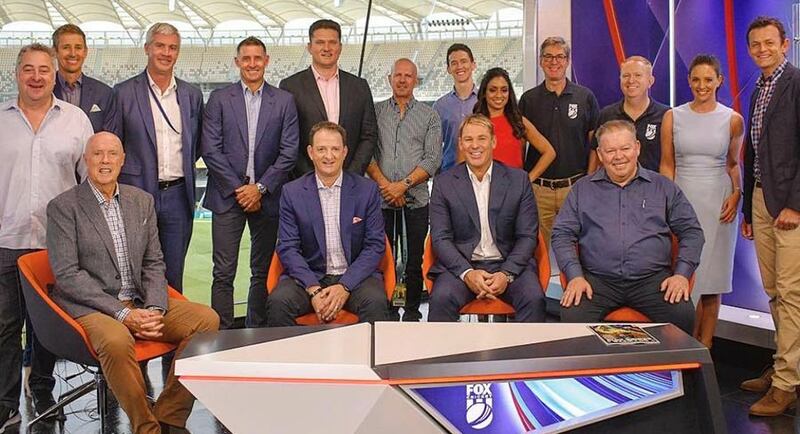 Photo: The Fox Cricket team in Perth on Sunday including Fox Sports boss Peter Campbell (rear, third from left) and head of television Steve Crawley (front right beside Warnie). 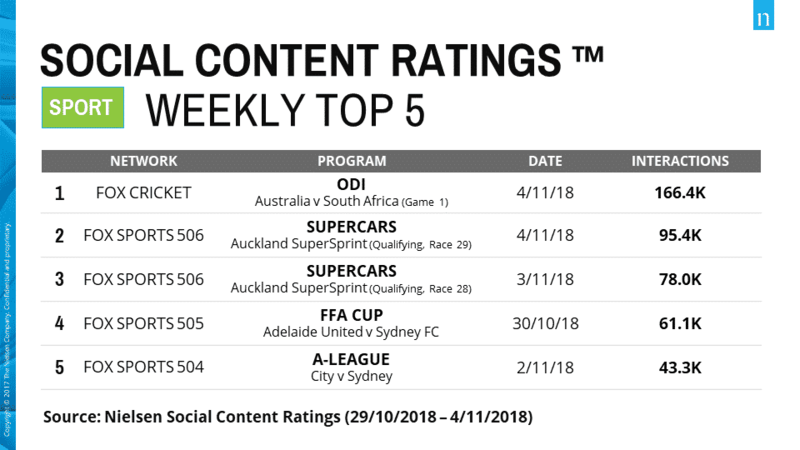 Seven was the clear audience favourite last night, albeit off the back of numbers that would really cause a panic if they repeated themselves in Q1 next year. Home And Away began the fourth-last week of survey on 620,000 after a week 44 average of 578,000. 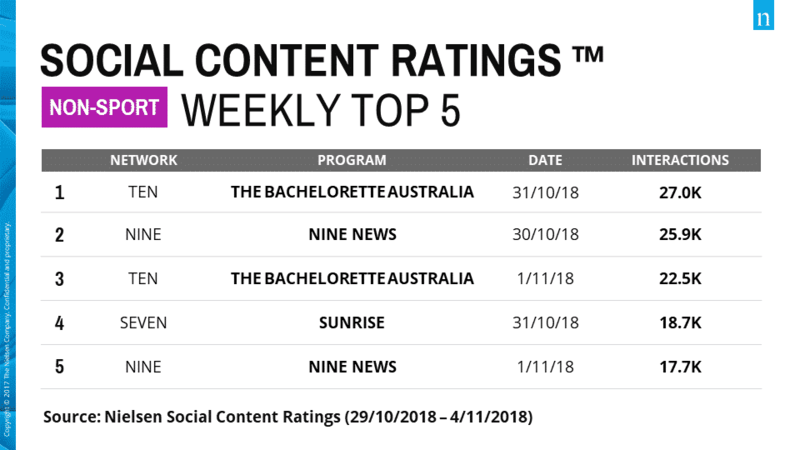 Bride & Prejudice won the 7.30pm hour, but with an audience of 629,000 a week after the 2018 series launched on 633,000 with the three episodes last week averaging 580,000. Seven then launched the US comedy-drama God Friended Me with 528,000, which is now a good number for that time of night. 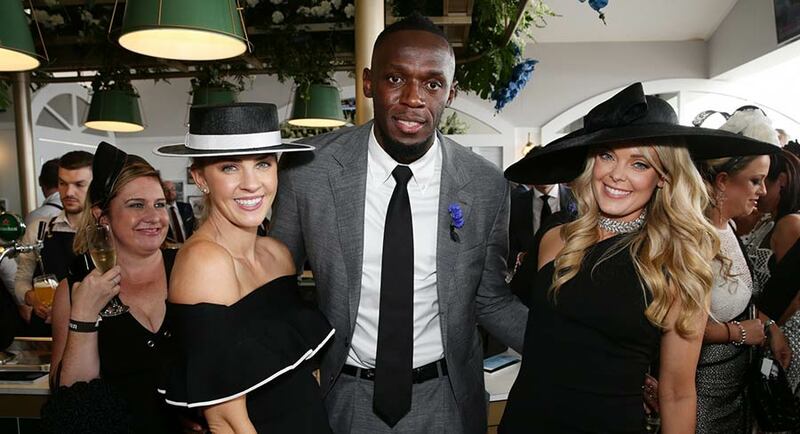 A bikini shopping guide and a Melbourne Cup preview were amongst the stories on A Current Affair with 698,000 watching, which won the metro timeslot. The program had a week 44 average of 657,000, down from 688,000 the week prior. Family Food Fight is not exactly dish of the day for viewers, with 401,000 after it launched a week ago on 411,000. It did manage to keep most of that audience though. Nine then screened the 2016 Melissa McCarthy movie The Boss to 202,000. Two impressive guests wrapped up The Project – Kelly Slater online from Los Angeles and then 77-year-old Dionne Warwick in the studio. The episode was on 442,000 after a week 44 average of 426,000, which was up from week 43’s 407,000. 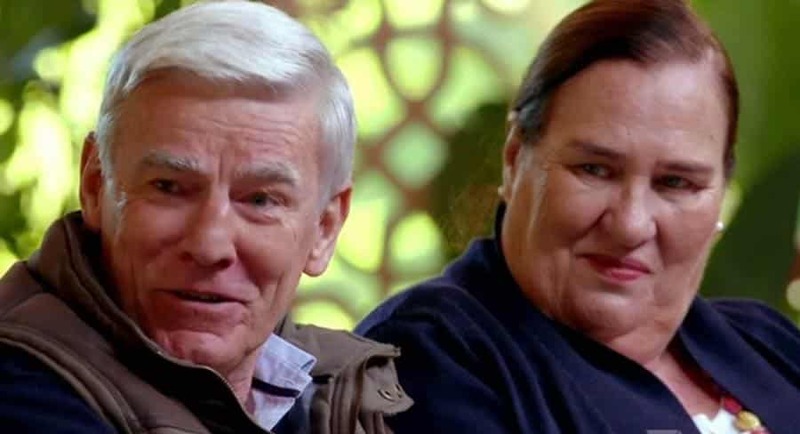 Blind Date disappointed again with Julia Morris working hard on the contestants. The episode did 320,000 after 347,000 last week. Have You Been Paying Attention? did the best it could given the lead-in with audience lifting to 623,000 after 682,000 last week and two weeks of close to 800,000. Contestants last night included Wil Anderson and Akmal, who wondered if the show had lost his phone number. He berated the audience who sniggered when he said he’s been working in Central Coast radio. “I’m there because I chose to be,” he said. 7.30 started its week with reporter Caro Meldrum-Hanna giving an update on the ongoing Keli Lane investigation. The episode did 624,000 after a week 44 average of 595,000. Australian Story had an update on Dr Justin Yerbury, who was researching motor neurone disease while suffering from it. The episode was on 586,000. A Four Corners examination of what is happening regarding reports of an African gang crime wave in Melbourne from reporter Sophie McNeill did 590,000. Media Watch then got stuck into the Daily Mail Online in a special episode devoted to how it generates editorial with 521,000 watching. Belfast was the destination for Alice Roberts in the series final of Britain’s Most Historic Towns. The audience was 278,000 – close to last week’s 266,000. Tickets have gone on sale for the Australian Academy of Cinema and Television Arts’ (AACTA) China-Australia Film Forum, to be held on Tuesday December 4 at Doltone House in Sydney. 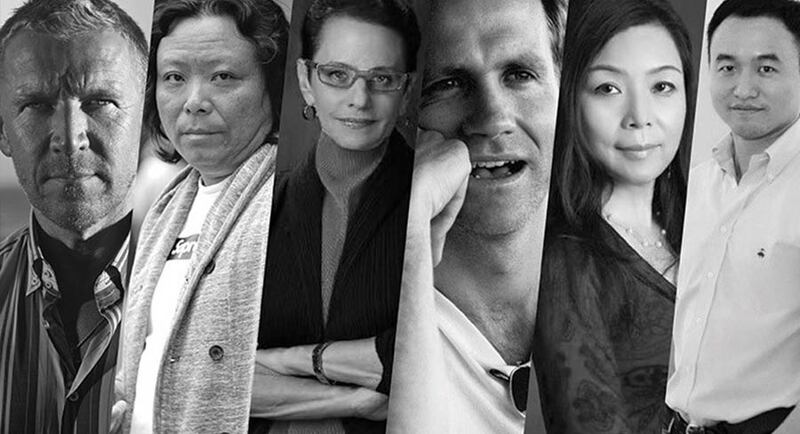 The latest event to be held as part of AACTA’s Asia International Engagement Program, the Forum aims to further encourage collaboration between filmmakers in Australia and those of our close neighbour, China. As the Chinese film industry continues to grow at pace, so does the Australian film industry’s relationship with it. Earlier this year, two of the biggest China-Australia co-productions yet were announced, The Whistleblower and Legend Of Sun And Moon. The two films follow in the footsteps of other recent co-productions such as At Last (2018), The Longest Shot (2018), Guardians Of The Tomb (2018), The Dragon Pearl (2011) and AFI and AACTA nominated films 33 Postcards (2011) and Children Of The Silk Road (2008). China-based producer and post production supervisor Geng Ling (Mao’s Last Dancer). The status of a number of current co-productions and collaborations. Tickets are now on sale from www.aacta.org/whats-on. 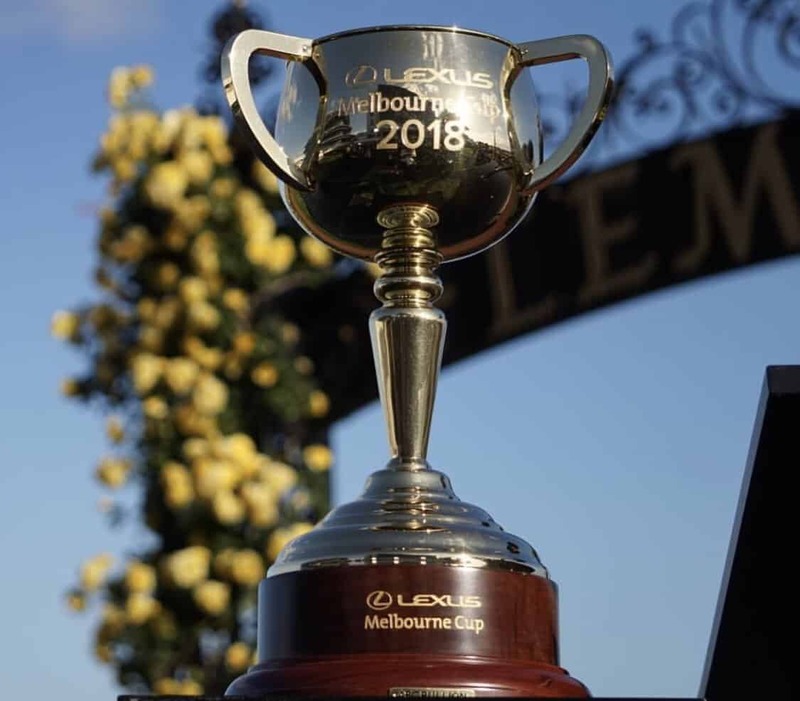 The country’s most eagerly awaited piece of sell-side research has landed: Macquarie quant team’s annual Melbourne Cup tips, reports The AFR’s Street Talk. “Saddle up and strap in,” they told clients on Monday night, as they bumped up the “defensive” and “low risk” factors in their quant-style tipping model. Which means the quants are favouring “lower risk, shorter priced runners” this year, and put a keen focus on horses’ track record. The team’s top pick this year is Caulfield Cup winner Best Solution, which drew barrier six and is an international raider hailing from the Godolphin stable. Tasmanian Liberal senator Eric Abetz has lashed out at the ABC for paying a senior executive a nearly $250,000 bonus last financial year, and demanded answers from the public broadcaster over the use of funds, reports The Australian’s Lilly Vitorovich. The Australian yesterday revealed an unnamed ABC executive received the $232,500 bonus, on top of a base salary of $388,702. This took the total salary to $692,319 in the year ended June 30, according to the ABC’s 2018 annual report. The executive was one of the highest paid executives, coming in behind former managing director Michelle Guthrie’s $918,924 pay cheque in fiscal 2018. “It is clear the ABC is wallowing in money when one executive is paid a quarter of a million dollars in bonuses. It is indicative of the ABC’s own deluded sense of self-worth,” Senator Abetz told The Australian yesterday. The Geoffrey Rush defamation claims against Sydney’s Daily Telegraph got down to business on Monday, discussing the damages that might be payable to the Oscar-winning actor if he wins the case, reports The AFR’s legal affairs editor Michael Pelly. The only real point of disagreement between them on day 11 of the case came down to how much they should factor in for blockbuster jobs such as the Pirates movies, for which Rush was paid $5 million in 2015. It was the recent edition of the franchise, for which Rush has played the character Barbossa. Justice Wigney said he would hand down a decision on Tuesday morning on whether to allow the Telegraph to amend its defence based on an affidavit sworn by a woman dubbed “Ms X”, who offered to testify for the Telegraph at the end of the first week of the trial. relevance, meaning and trusted place in society”. Aussie television legend Georgie Parker has revealed she has been the target of unwelcome advances by men in the entertainment industry – and how bullying at school taught her to fight them off, reports News Corp’s Danielle Gusmaroli. “I’ve developed a shield that warns men not to come near me. I tell them to ‘F-Off’,” the no-nonsense star told The Daily Telegraph. She said she grew up tough after being diagnosed with scoliosis – the sideways curvature of the spine – at high school, making her a target for bullies in the playground. 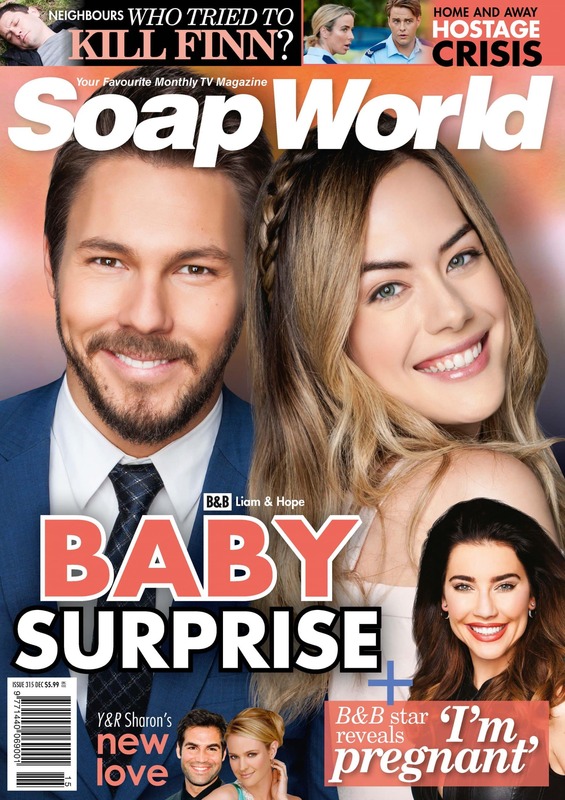 The two-time Gold Logie winner, best known as Roo Stewart in Home And Away, said the hard time she was given at school left her well prepared for handling the sometimes sleazier side of the world of acting. Rick Grimes is gone, but could he return to The Walking Dead? It was billed as his last episode and had been teased for weeks. But anyone imagining that is the last we will see of Rick Grimes (Andrew Lincoln) is gravely mistaken, reports Fairfax Media’s Karl Quinn. The Walking Dead’s main man for nine years, eight and a bit seasons, and 131 episodes spent his last innings being stalked by a horde of walkers while trailing blood from a gaping stomach wound, the result of being tossed from his startled horse onto a steel reo bar protruding from a block of concrete. The wound was severe, gory, and turned Rick into a horse-borne version of Meals on Wheels, a tasty treat forever just out of reach of the ravenous horde that stalked his every painful move. But Rick did not, in the end, die. In his new sketch comedy Orange is the New Brown, Nazeem Hussain unleashes on race, politics and pop culture, reports TV Tonight. The six-part series by Screentime is Seven’s first sketch comedy since 7mate’s Kinne but has won a primetime slot on the primary channel. Hussain admits to being take aback by the network’s interest in the show, which he also pitched to public broadcasters. “I thought it was a waste of time because the commercials haven’t done much comedy, but Seven came back really quickly and said ‘This is good, can you come back with 12 scripts?’” he tells TV Tonight. “I thought it was a joke. It’s Channel Seven, which hasn’t done sketch comedy in a long time. And the show has a bit of edge to it. So maybe I just really didn’t understand what Channel Seven was looking for. Legendary Adelaide sports commentator Bruce McAvaney will cover the race that stops the nation for the final time today, reports The Advertiser’s Lincoln Moore. Channel 7 will hand over the broadcasting rights to the four-day Melbourne Cup Carnival to Network 10 in 2019 but it won’t be goodbye to racing for McAvaney. “This will be my last Melbourne Cup,” McAvaney said. McAvaney said racing remained his favourite sport after it consumed him in Adelaide from a young age. 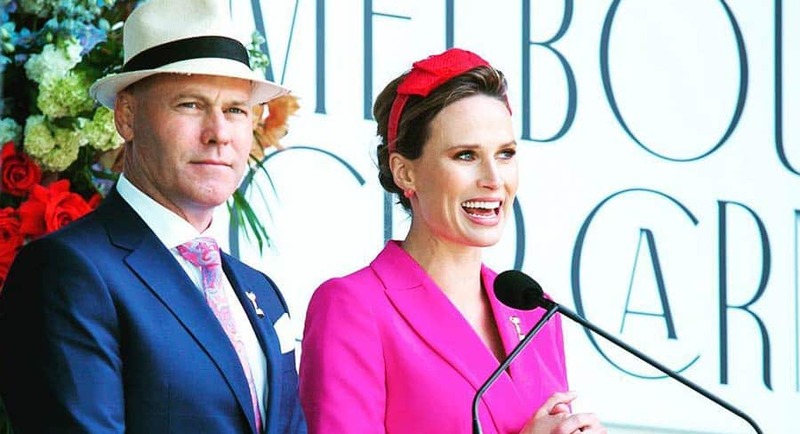 “Racing and the Melbourne Cup are near and dear. It’s my favourite thing since I was as a kid,’’ he said.